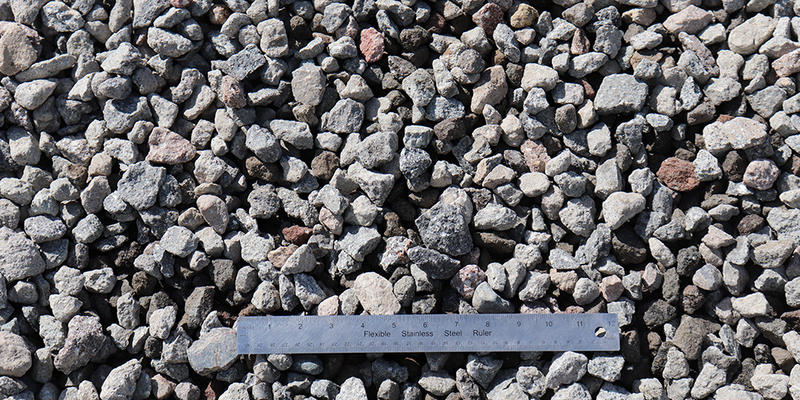 Butte Sand and Gravel’s 1½” crushed rock is clean, washed crushed rock that runs from 7/8” to 1 ½”. 1 ½” Crushed, as it is typically called, is used on roads or driveways to bridge over muddy and standing water conditions. Predominately gray in color, it also has hues of pink and blue.